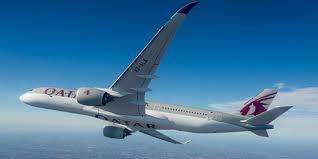 Qatar Airways is currently taking applications for the positions of Captains, Fast Track Captains and First Officers for it’s growing fleet of A320’s, A330’s, A350’s, A380’s, B777 and B787 aircraft. Applicants meeting the below requirements are invited to apply. Valid ICAO ATPL or Frozen ATPL (ATPL Theory Passes/Credits and MCC). a) Multi crew, multi engine glass cockpit jet above 17000kgs. b) Command multi crew turbo-prop glass cockpit. c) High performance military jet (Multi Crew Co-operation certificate required). Be type-rated and currently flying on the B787/B777/B767/B757/B737NG/B747-400/800 or A320, 330, 340 with a minimum of 500 hours on type. English language proficiency level 4 or above. Below 51 years at the time of joining Qatar Airways. A minimum of 1000 hours command non Qatar Airways wide body glass cockpit. A minimum of 3000 hours non Qatar Airways Type wide body glass cockpit as First Officer. Valid ICAO ATPL license. Valid instrument rating. Below 61 years of age at the time of joining Qatar Airways. A minimum of 5,000 hours total multi crew jet/turboprop flying time of which a Minimum of 2,000 hours should be in command of Wide body Jet glass cockpit aircraft. Have a minimum of 5,000 hours total flying time multi crew jet / turboprop. Have a minimum of 1,000 hours, currently flying on type and holding a current LPC . Flightdeck Consulting is uniquely positioned to give you the best opportunity of success in your Qatar Airways Interview. When you appoint Flightdeck to prepare you for your interview we will also assist in completing your online application, ensuring the best possible chance of being called for an interview.